The Royale Dream is now a reality. At this year’s F1 festivities, the World of Diamonds Group unveiled the most expensive perfume it has ever created at the Amber Lounge. Of course, this was received with much awe and adoration by guests which included F1 drivers, celebrities and socialites. Truly a luxurious masterpiece, the perfume collection is a collaboration with renowned Spanish perfume house, Cuarzo The Circle, and took over 17 months and involved 32 pairs of hands to create. The result is contained in three little bottles boasting highly-coveted unique fragrances. The Earth has more masculine perfume notes, while the Celestial is more feminine with floral characters. The third one is the Enlightenment, a unisex scent that has a base of musk, amber, and ebony wood, but still has floral top notes. 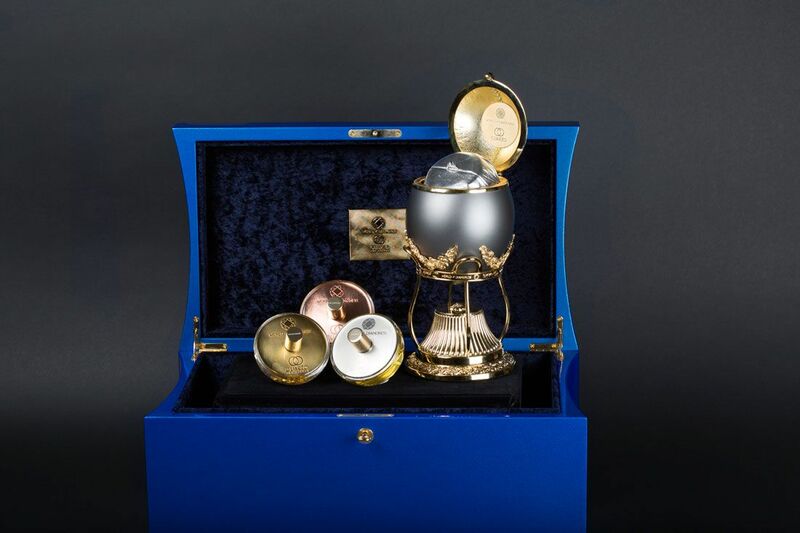 These are encased in diamond-encrusted bottles and tucked inside a Faberge-inspired egg with lambskin interior case. Completing the package is a 0.85-carat blue diamond ring fitted in a lambskin pillow. During the F1 weekend, one set of this perfume collection was sold at a silent auction and fashionista, Sharon Chandran, was the lucky lady who snapped up this one-of-a-kind masterpiece. Speaking on the exclusivity of The Royale Dream, Karan Tilani, Director of the World Of Diamonds Group, also said "Your heart was designed for more than good movies and worldly music. It was erected for something greater, eternal, out of this world." Beauty What Does A Tiffany Diamond Smell Like?